Derick Taebo, Solomon Islands national U-17 and Henderson Eels defender will make his debut against AS Central Sport on Sunday. Photo: Romulus Huta. 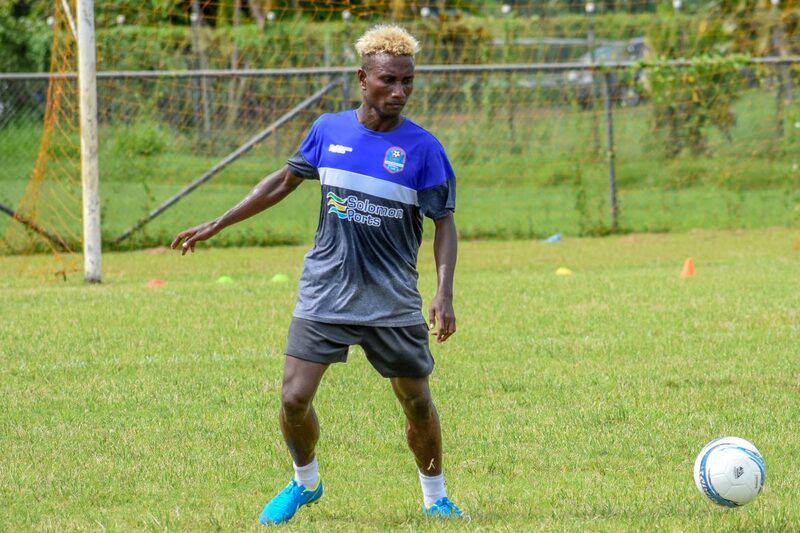 Sixteen-year-old defender Derrick Taebo is setting sights on his maiden appearance in the 2019 OFC Champions League. Taebo is the youngest member of the Henderson Eels 18-man squad for the Group B competition due to kick off at Churchill Park in Lautoka, Fiji Sunday afternoon. Despite a previous appearance with the Solomon Islands national youth side in the OFC Under-16 Championship last year, Taebo describes the OFC Champions League as a totally new competition for him. “I’ve played at the regional level with the national under-16 last year but I think this level at the OFC Champions League is different. “The champions league involves many senior experienced players around the region and I’m looking forward to it. “Most of us in the team are new and since arriving in Lautoka on Monday, we have settled down and are looking forward to our first match,” he said. Taebo added that playing in the champions league will give him a lot of game time and enhance his experience at the top level. Taebo is a member of the Solomon Islands national under-17 training squad who is currently preparing for this year’s FIFA Under-17 World Cup in Peru. The youth training squad started training last month and Taebo has been going to and fro between his club and the national youth side during training days. Henderson Eels will hit the training ground this afternoon at Nadovu Park in Lautoka for its final session before taking on AS Central Sport of Tahiti on Sunday at Churchill Park in the opener of the 2019 OFC Champions League Group B competition.